With the rapid development of China's manufacturing industry and the comprehensive development of infrastructure, high-speed railways, highways, bridges, mines and new urban and rural construction will use a large number of steel mesh. We often see that a large number of workers are braving the steel bars in the heat of the Jiaoyang, and dripping into ice on ice and snow, still working hard on the high scaffolding. The artificially tying the brc steel wire mesh has low efficiency, high cost, high labor intensity, difficult quality assurance, and a poor working environment. 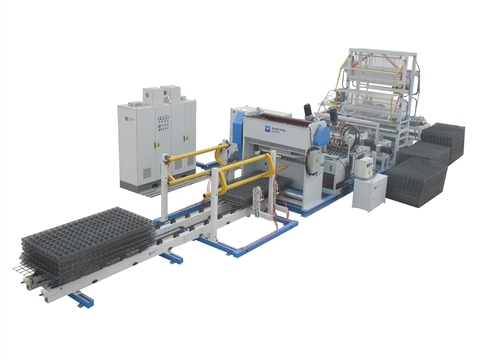 The development and progress of social economy, the extensive application of mechanization, the production of brc steel wire mesh must be replaced by mechanical production. Precise and reliable control system for brc steel wire mesh machine: GPI, GPII two system controllers adopt single-chip microcomputer inheritance control system, fully consider the characteristics of resistance welding and application technology problems, and carefully design for various materials and product industry characteristics. The options are excellent to ensure reliable performance. The GPI series controller, welding time, current and other parameters are all input through the digital dial, which is easy to operate, accurate and stable.